For hair that’s enviably extravagant, this volume-boosting mousse enhances body and structure without a hint of dreaded ‘crunch’. Plumping up strands, this makes your mane bigger and better, while also strengthening strands and providing heat protection with hydrolysed wheat protein and vitamin E. It’s opulent, nourishing and glamorous – all hallmarks of luxe heavenly hair care brand, Oribe. 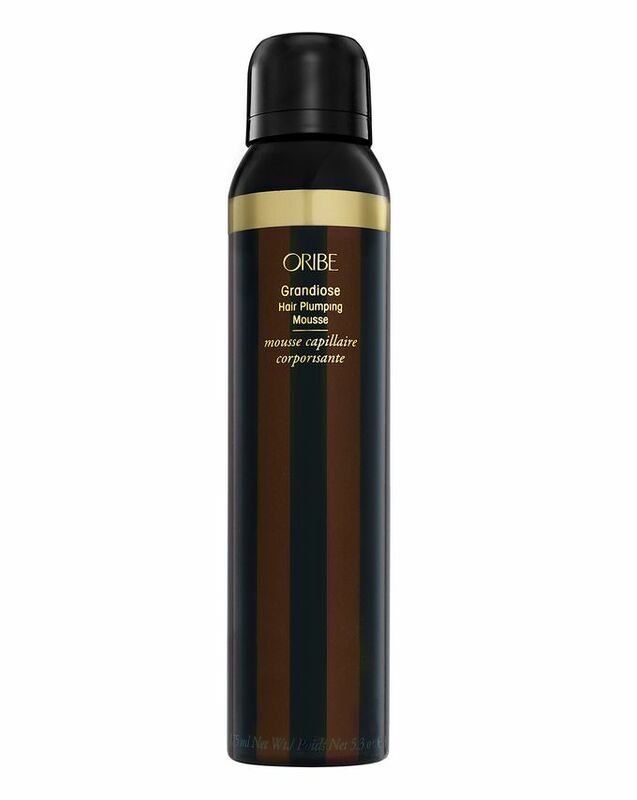 Putting some much-needed 'luxe' in mousse, Oribe’s Grandiose Hair Plumping Mousse enhances hair’s body and structure, leaving locks thick and larger than life, all while remaining supremely soft and free from dreaded ‘crunch’. The formula features panthenol, which swells the hair shaft and imparts enviable volume, as well as smoothing, thickening starch polymers and superior styling polymers to provide long-lasting, flexible hold. Hydrolysed wheat protein strengthens and renews damaged hair, while sunflower seed oil, glycerin and vitamin E moisturise and condition hair, ensuring that it stays hydrated as it is volumised. Each luxe, pillowy ‘pouf’ of mousse makes locks bigger and better – use it on damp hair before blow drying for the best results. Apply liberally to damp hair then air or blow dry.